I am busy reading up on web accessibility. There is a fortune to read and to learn. One of the first details that web developers need to keep in mind is that of images or photographs. There are readers who are unable to see or view images for various reasons. One group of these readers is, of course the blind or visually impaired. 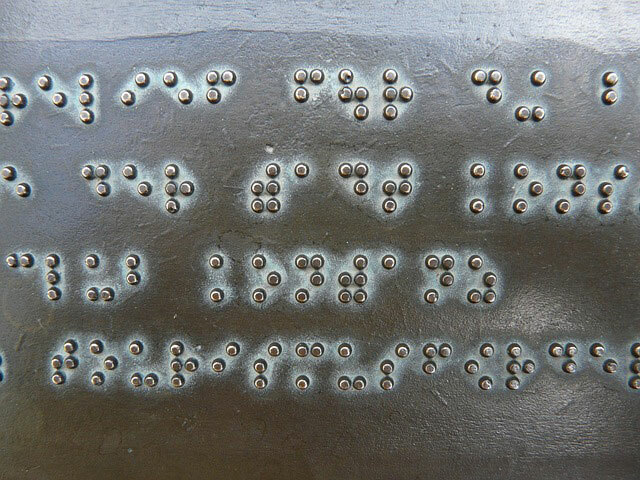 The web accessibility guidelines lists three ways to use text equivalent for image, one of these is braille. I am familiar with braille and have prepared several blind patients to improve their sensation of their finger tips in preparation for learning braille. 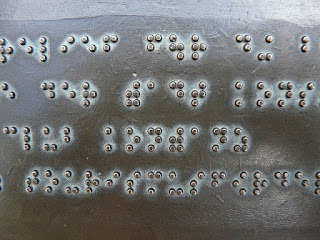 However, I know braille as being on paper. I decided to do a search to find out how braille can be used on an LCD or flat screen. I was delighted to discover that a company in Austria has designed a method for the blind and visually impaired to be able to access tablets and flat screens using braille. This special tablet is called a BLITAB and will be the first tactile tablet for blind people. It is still in the manufacture phase and due to be launched at the end of 2016. Take a look at the video below, which explains about this wonderful new device and how it will be enabling the blind population to gain access to technology. Look at the smile on the face of the blind person who is being introduced to the new BLITAB. What a gift to this section of the population, this BLITAB will be. It is wonderful to see how advances in technology can open doors for the disabled too. Do you know anyone who is blind or visually impaired? Let them know that a new tablet is soon to come onto the market that will enable them to gain greater access to the world of technology.